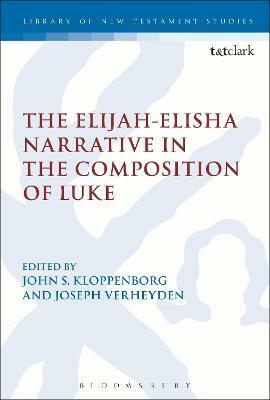 This collection examines the allusions to the Elijah- Elisha narrative in the gospel of Luke. The volume presents the case for a "maximalist" view, which holds that the Elijah-Elisha narrative had a dominant role in the composition of Luke 7 and 9, put forward by Thomas L. Brodie and John Shelton, with critical responses to this thesis by Robert Derrenbacker, Alex Damm, F. Gerald Downing, David Peabody, Dennis MacDonald and Joseph Verheyden. Taken together the contributions to this volume provide fascinating insights into the composition of the gospel of Luke, and the editorial processes involved in its creation. Contributions cover different approaches to the text, including issues of intertextuality and rhetorical-critical examinations. The distinguished contributors and fast-paced debate make this book an indispensable addition to any theological library. John S. Kloppenborg is Professor of Religion at the University of Toronto, Canada. He is well-known for his ground-breaking work on the Sayings Gospel Q. His most recent publication is Excavating Q: The History and Setting of the Sayings Gospel. He is currently writing a commentary on James for the Hermeneia series. Joseph Verheyden is Professor of New Testament Studies at the University of Leuven, Belgium. He has recently edited The Figure of Solomon in Jewish, Christian and Islamic Tradition: King, Sage and Architect (2013) and (with J.W. van Henten), Early Christian Ethics in Interaction with Jewish and Greco-Roman Contexts (2013).